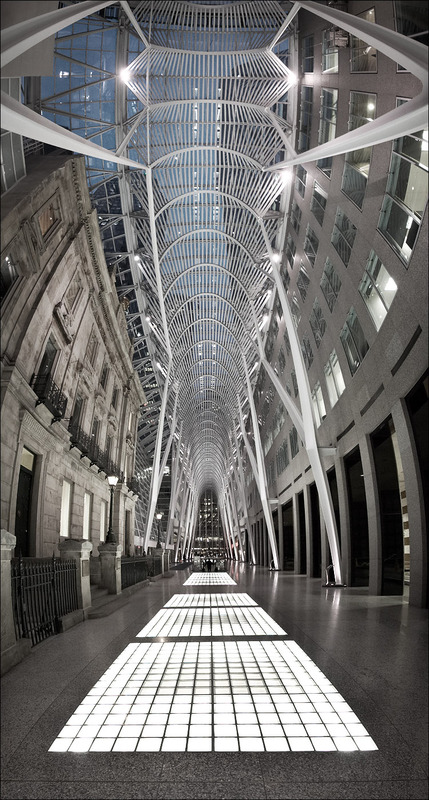 I've taken photos of this place (BCE place) before but this time I decided to try stitching multiple photos to create a taller photo to communicate the size of this place. One of my favorite architects, Santiago Calatrava is the designer of this beautiful Toronto landmark. to see a smaller version to fit your screen, check out the flickr post.